Provides a confident use teeth. Looks, acts and feels like natural teeth. Dental implants are extremely versatile and can be used to replace one or all missing teeth. In every situation dental implants give patients confident use of their teeth, whether they are removable as is the cases with dentures and partial dentures, or fixed (not needing daily removal) such as with crowns (replacing one tooth), bridges (replacing multiple teeth in a row), or full-arches (fixed full denture). Tiny titanium posts are placed in the jawbone. The posts act as tooth root substitutes. The bone bonds with the titanium, creating a strong foundation for the artificial tooth. Small posts are attached to the artificial implant which protrude out from the gum. After six months, the dentist adds a small healing collar to the implant. Your new artificial tooth is designed. Artificial tooth is secured overtop the implant. Ability to regain natural-like tooth. Ability to eat anything normally without discomfort. Facial contours remain the same. No disruption to normal life. Takes six to eight months from start to finish. After 10 years, greater than 90% of teeth on implants are still present compared to a 50% survival rate for bridges (with recurrent decay/cavities on teeth that hold the bridge the #1 cause of bridge problems). For a bridge, adjacent teeth which are often in excellent condition must be trimmed down aggressively to accept a bridge. A single-tooth implant does not touch adjacent teeth. No risk of decay on dental implant crown. Easier flossing/cleaning of dental implant crown. Inadequate bone to place a dental implant and bone augmentation is not possible. In some situations where a severe bone defect exists at the missing tooth site, esthetics may be better with a bridge. Every person’s situation needs to be carefully evaluated to determine which treatment is the most appropriate for their situation. Partial dentures accelerate the loss of the teeth that support and retain them (called abutment teeth). 44% of abutment teeth for partial dentures are lost within 10 years. Partial dentures have a low survival rate. Some patients cannot get used to them despite how well they are made, and some patients lose the teeth that support them. Overall, after 4 years, only 60% of new partial dentures are still used daily by patients. At 10 years, only 35% are used. Partial dentures do cause bone loss in areas where gum tissues support their function. Partial dentures cause more plaque to buildup on teeth, which increases the risk for more cavities and gum problems. Partial dentures lose much of their retention with time and get looser. The more teeth that are missing, the more stress partial dentures put on the remaining teeth and consequently the quicker the remaining teeth are lost. Dental implants can be used to replace multiple missing teeth without any negative effect on remaining natural teeth. Remaining natural teeth have reduced stresses on them when sharing the functional workload with teeth supported by dental implants, thus improving the prognosis for existing natural teeth. Dental implants in some cases can be used to anchor removable partial dentures and reduce the need to use natural teeth as support. This can be a nice compromise to help bring treatment costs down comparing to fixed teeth on implants. 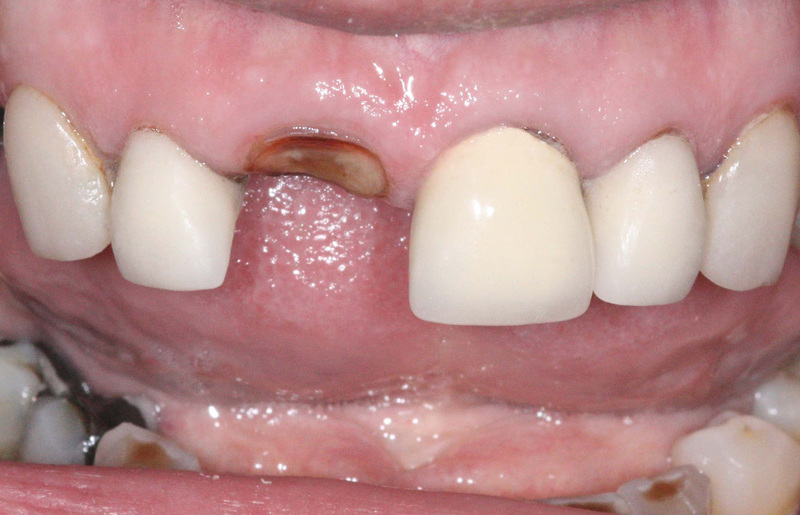 Full Upper and Lower Dentures Versus Full-Arch Fixed Teeth on Dental Implants. The original reason for the rapid increase in the use of dental implants during the 1980’s was to restore function in patients with full lower dentures. Even the best fitting full lower dentures have very little preventing them from lifting off. Most lower dentures have poor stability even when properly made, which is due to the loss of jaw bone volume after tooth loss and prolonged denture use. Having full dentures is a crippling disability and dental implants can eliminate this disability. When transitioning from having teeth to having full dentures, there is an immediate 75% drop in bite force from around 200 psi to 50 psi. Patients who have worn dentures for 15 years can only achieve an average of 6 psi of bite force. In other words, when someone wears a denture for 15 years, they lose more than 90% of their bite force. Complete denture wearers almost always avoid social events where food is served due to the inability to properly eat most foods. Complete denture wearers often have some speech difficulties due to a loose lower denture. Complete denture wearers have reduced facial muscle tone, and progressive loss of jaw bone volume. Can be fixed (not removable daily) or removable depending on individual needs. Function on the implants helps maintain jaw-bone volume. Help regain and maintain facial muscle tone and facial esthetics. 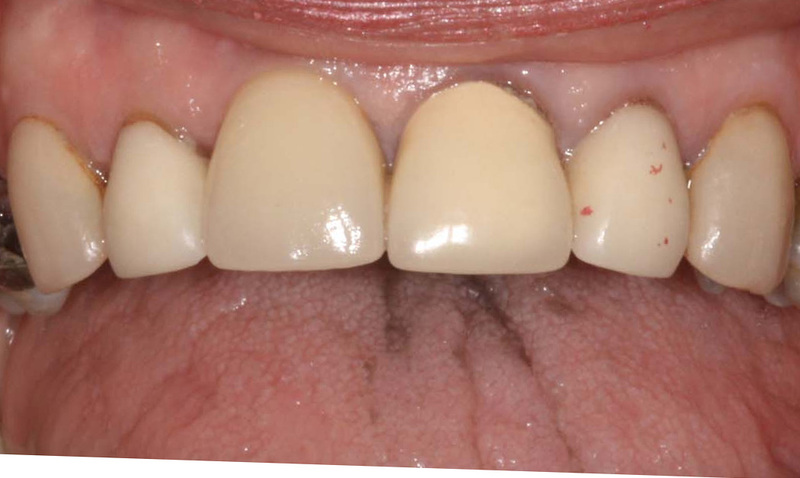 Have absolute stability, no movement at all of the prosthetic teeth during function. Help with speech (teeth don’t move while speaking). Psychologically feel like your own teeth. Increase confidence in social situations. Help regain function close to what a full set of natural teeth can achieve. Increase the duration of use of the prosthetic teeth compared to dentures. Can reduce the size and thickness of the prosthesis compared with dentures. Fully supported teeth on implants represents the best solution for a person with no teeth. In some situations, can use as little as two dental implants to give stability to a denture. The denture chewing force is still supported entirely by the gum tissues which the denture rests on. The role of the implants is to prevent the denture from lifting away from the gum tissue, and to give some stability against forces that want to move the denture from side to side. This option is relatively cost-efficient, and even as little as two implants in a lower jaw can dramatically increase the stability of a denture. More implants can be added over time to eventually obtain a fully supported implant denture. A thorough evaluation needs to be performed to determine if this option is a viable option for you. Dental Implant Placement, Who is a Candidate? Almost everyone is a candidate to have successful dental implant procedures. In cases where bone volume (height, width, or both) is inadequate, bone augmentation procedures would need to be performed to make it more viable. There are a very small percentage of patients who, for various reasons such as certain medical conditions or limitations of their own anatomy, will not be candidates.